FITZGERALD, William Thomas. Nelson's Tomb, A Poem...To Which is Added, An Address to England on Her Nelson's Death. By the Same Author. 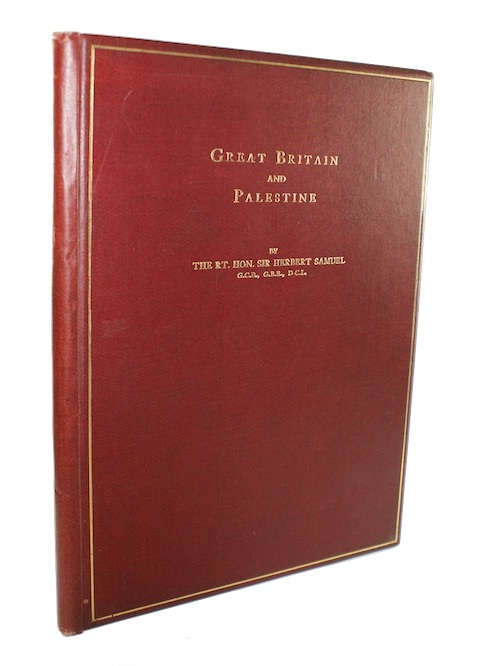 Printed By W. Bulmer and Co....and Sold By J. Asperne. 1805. First Edition. 18pp. With half-title. Recent paper boards, paper title label to upper board. Marginal paper repairs to gutter and edges throughout, browned. 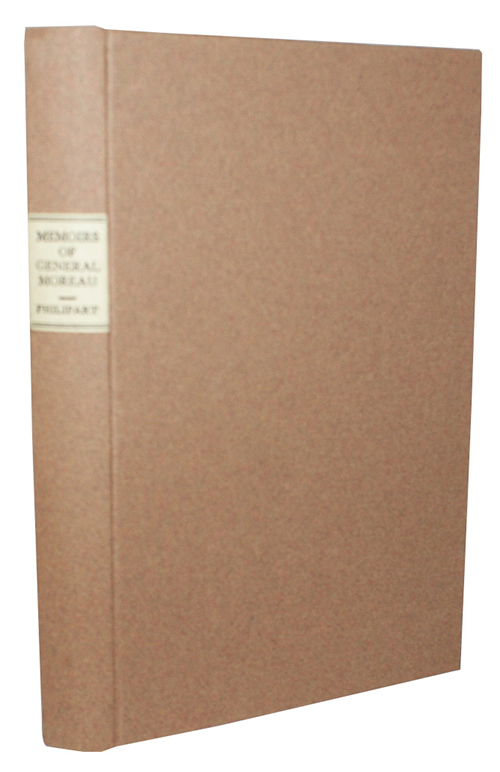 With ink-stamp of the Philadelphia Mercantile Library to title and dedication. GOULBOURN, Edward. The Blueviad. A Satyrical Poem. Printed for J. Maynard...by Barker and Son. 1805. First Edition. 119pp, . Folding engraved frontispiece. Uncut in later roan backed paper boards. Rubbed to extremities, some marking and bumping to boards. Bookplate of Anne and F.G. Renier to FEP, contemporary ink inscription to head of title. A handful of annotations to final leaf, an index of the characters, identifying the true identities of fictional counterparts. HEBER, Reginald, M.A.. Europe: Lines on the Present War. Printed for J. Hatchard. 1809. First Edition. [iii]-viii, 32pp. Disbound in later marbled paper folding wrappers, manuscript lettering piece to spine and title label to upper wrap. From the Nowell Smith collection, with book labels of Judith Adams and Simon to verso of upper wrap. PHILLIPPART, John. Memoirs &c.&c. Of General Moreau; Illustrated with a Portrait, a Fac Silile of General's Last Letter to Madame Moreau, and a Beautifully Engraved Plan of the Seige of Kehl, and Passage of the Rhine in 1796. A.J.Valpy. 1814. First edition. viii, 293pp, (3), 2pp. Strongly bound in recent paper boards, retaining a 'Templemore' bookplate to FEP. Engraved portrait frontispiece, a folding facsimile letter and folding engraved map. Contemporary lettering piece affixed to REP.
TAILLEFER, Nugent. 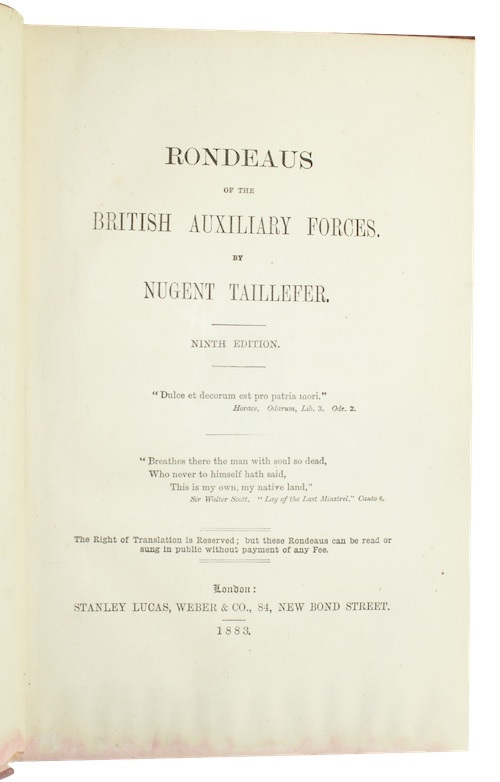 Rondeaus of the British Auxiliary Forces. Stanley Lucas, Weber & Co.. 1883. Ninth edition. viii, 24, 24a-24z, 24aa-24xx, 25-168pp,  advertisements. Original publisher's red cloth, gilt. Ink staining and some fading to binding. Small split to spine and rubbing to extremities. TILLOTSON, John. 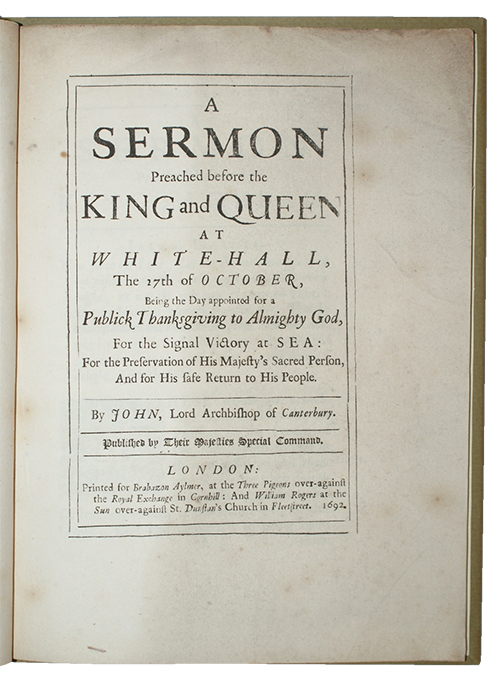 A sermon Preached before the king and queen white-hall, The 17th of october, Being the Day appointed for a Publick Thanksgiving to Almighty God, For the Signal Victory at sea: For the Preservation of His Majesty's Sacred Person, And for His safe Return to His People. By John, Archbishop of Canterbury. Published by Their Majesties Special Command. Printed for Brabazon Aylmer. 1692. First edition. , 36pp. With half-title. Recent green paper boards. Marginal dust-soiling and foxing throughout. [NAVAL PAY]. 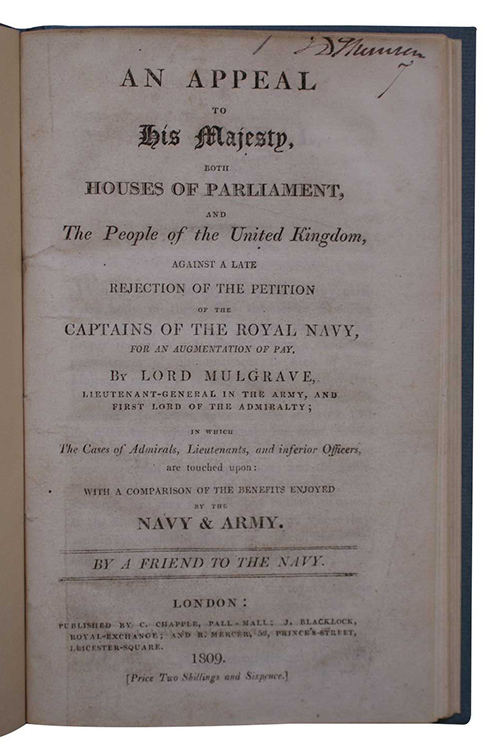 An Appeal to His Majesty, Both Houses of Parliament, and the People of the United Kingdom, against a Late Rejection of the Petition of the Captains of the Royal Navy, for an Augmentation of Pay By Lord Mulgrave.... 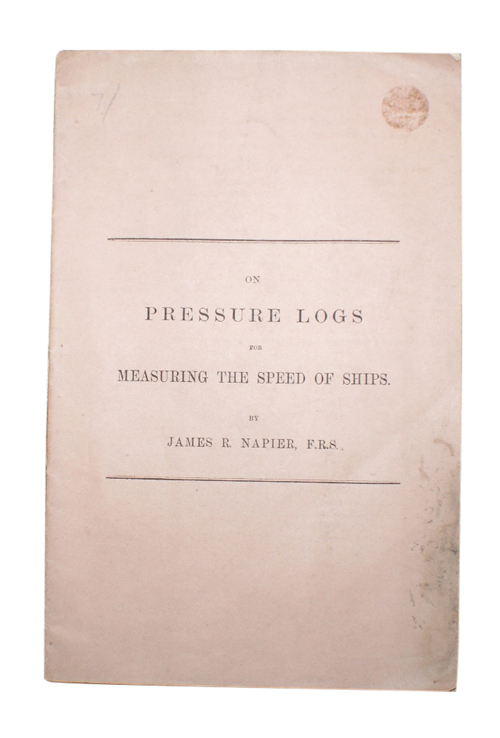 Published By C. Chapple.... 1809. First Edition. , 49pp, . Recent blue paper boards. Ink inscription of J.D. Thomson, presumably John Deas Thomson (1763-1838), Accountant-General to the Royal Navy, to slightly soiled title. Small hole to text caused by wax spill to D1, without loss of sense. [NAVAL]. 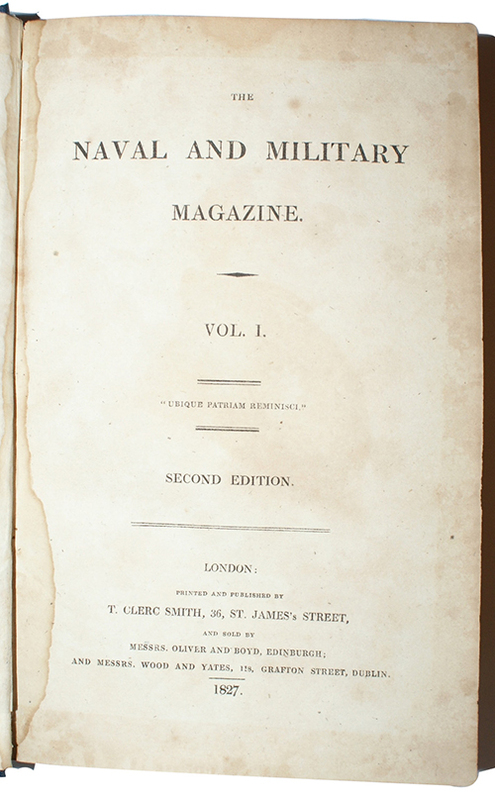 The naval and military magazine Vol I[-II]. T. Clerc Smith. 1827. Second Edition. First two volumes only. viii, 672pp. , 722pp. 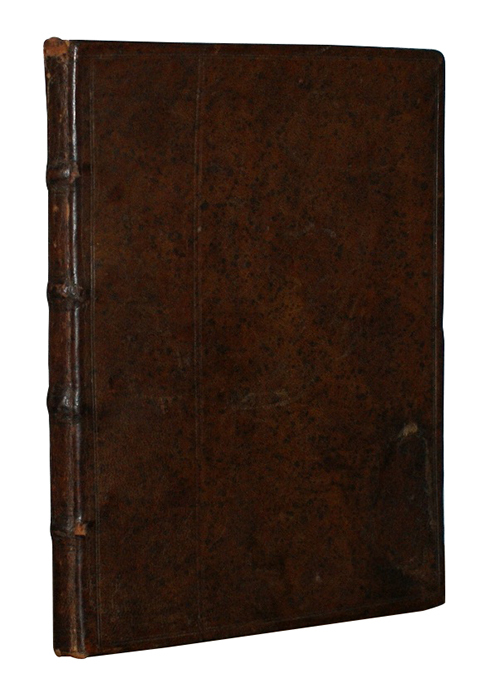 With an engraved frontispiece to Vol. I one depicting 'The Duke of York, Commander in Chief' and an engraved plate to Vol. II showing 'His Royal Highness the Lord High Admiral'. Later blue cloth, lettered in gilt to spines. Marginal tears to Vol, I at p.179-180, p.381-382, p.389-390 - in no instance touching text, browning to titles and engravings of each, slight dust soiling to title of Vol. II, second contents leaf of Vol. I working loose, light foxing. [SHIPWRECK]. A Narrative of the Loss of the Kent East Indiaman, By Fire, in The Bay of Biscay, on the 1st March, 1825. In a Letter to a Friend. By A Passenger. Printed for Waugh and Innes. 1825. Third Edition. [iiii-v], vi, -113pp, . 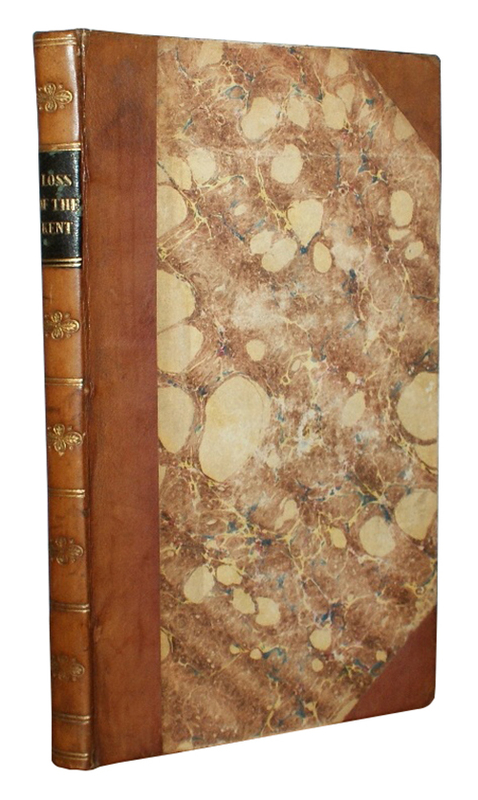 Contermporary tan calf, marbled boards, contrasting morocco lettering-piece, by B.Hunt of Birmingham. Very slight rubbing, else a fine copy. John Drinkwater's copy, with his armorial bookplate and tipped in signature to FEP, and the signature of his wife Ellen to title page. Later bookplate of David Reginald Hay-Neave, colonial civil servant, also to FEP.